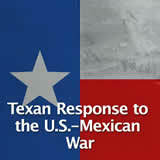 In this experience, students learn about the U.S.-Mexican War. They explore issues that caused the war. Next, they identify important people involved in the war. Then, they analyze the different battles of the war. 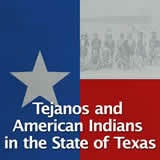 Note that many of the reading resources refer to the war as the Mexican-American War; the TEKS refer to it as the U.S.-Mexican War. Point out to students that both names refer to the same conflict. 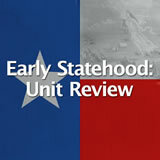 The student pack includes a Flash-based interactivity, U.S.-Mexican War. If your classroom has devices that support Flash, you may want to direct the students to this optional resource. Identify the issues that led to the U.S.-Mexican War. Identify important individuals during the U.S.-Mexican War. Analyze battles from the U.S.-Mexican War. President James Polk made it clear that he wanted to expand the United States in order to fulfill his vision of Manifest Destiny. 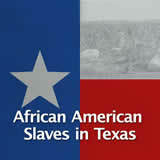 Texas joined the Union in 1845, and Polk wanted to stretch the United States still farther west. There was a great deal of tension between the United States and Mexico. 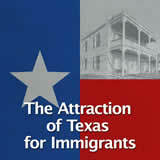 Mexico did not want to grant Texas its independence, and it was unhappy when the United States annexed Texas. Many Mexicans believed that the United States would try to take over Mexico next. 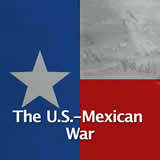 The U.S.- Mexican War lasted from 1846 to 1848. It was the first time that the United States fought a war on foreign soil. Look at the map. What observations can you make about the United States and Mexico at the time of the war? Mexico was big and extended through Central America. 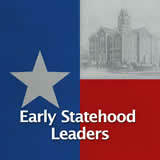 There were no states west or north of Texas. Western United States was called the Great Basin. 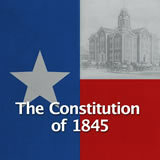 Parts of Texas were called disputed territory.